Zerozaki4869 wrote: Like the glass shard? I saw you disagreeing with yourself all the time. learn to tell the difference between speculation and fact. You said statements. Though a speculation is also a statement. That's why I said I witnessed your internal tribulations on discord. Zerozaki4869 wrote: No, first get the shogi shaped pill case of Haneda Kohji, only then I'll share my thoughts with you, eh?? Well the mystery of why Rumi has access to the password to BO's APTX victim list is yet to be revealed. As well as the reason why she has been keeping a shogi piece close by seen held in her pants pocket and on her desk table. If it were just a regular shogi piece, I assume there is no need for Rumi to hold on to it so tightly and to keep it close by even if it were something meant to be kept as a memoir? Anyways, I cannot speculate more on something that is not yet revealed, and the significance of Rumi's shogi piece is not yet revealed. Speaking of baseless speculations... What are the chances that Elena did not actually die in the fire from years ago, and actually survived and went into hiding? It was never really confirmed with certainty that she died as it is impossible to distinguish the identity of a burned body. What if Rumi is actually Elena in disguise? They are both female, they both have long hair, they both wear glasses, they both have similar cheekbone and facial features, and they both worked for the BO, so they both know about APTX. Could the reappearance of Elena back in the story be a red-herring of her return from the dead? Last edited by Spimer on November 3rd, 2018, 7:45 am, edited 1 time in total. Not to mention that dying hair and changing glasses is one of the quickest, simplest ways to change a person's face both IRL and in fiction... Even the eyes are very diamond-shaped when compared with other characters. 8. “Wakasa Rumi" name (若狭留美) has the kanjis for “若さ wakasa”, “留める todomeru ”, “美しさ utsukushisa" that can be read as "Youth halt beauty", which fits with Vermouth's aging being stopped and having never-ending beauty. Last edited by MeiTanteixX on March 28th, 2019, 9:13 am, edited 4 times in total. One thing - Vermouth hates Sherry with a burning passion. Even if she gave up her plan to kill Sherry, I don't think she would act near her as if she wouldn't be there. 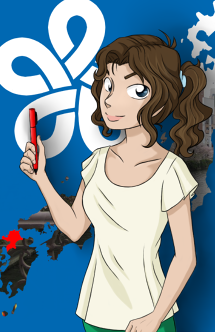 yet, as a shool teacher she acts as if Sherry would be a normal child. 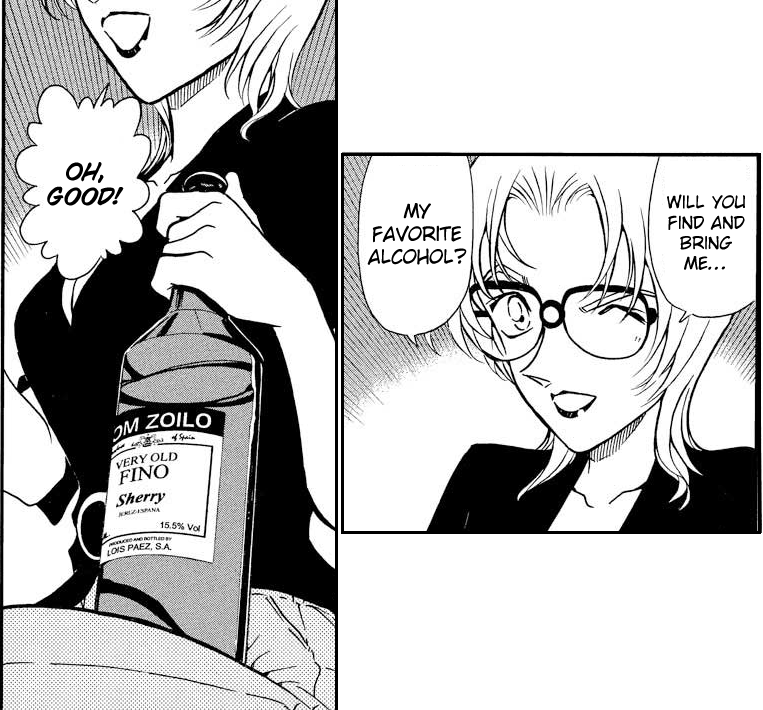 If Rumi were Vermouth, I think she would be watching both Ai and Conan, and not just Conan. Nemomon wrote: One thing - Vermouth hates Sherry with a burning passion. No. That's overblown. We just know that she wanted her dead no matter what. Now that she gave up on killing her, what feelings are left for Sherry? We don't know that. I have no idea, but it's not that usual for Haibara to actually "like" someone, right? 8. “Wakasa Rumi’s name (若狭留美) has the kanjis for “若さ wakasa”, “留める todomeru ”, “美しさ utsukushisa" that can be read as "Youth halt beauty", which fits with Vermouth's aging being stopped and having never-ending beauty. 6) What? Rumi has parallels with scar-Akai. Posing as someone when she is not someone to investigate someone else. The biggest point which you always shy away is your "Vanishing Scar theory." Do you know what there is another explanation to this(which fits much better you even didn't get the meanings of four Kanji's which create the full name) 若/Waka/ means youth/child of someone/young, new, 狭/sa/ means in a narrow place/tight spot/narrowness, 留/Ru/bequest/legacy/inheritance,美/mi/beauty. So we have an "young one narrowly inherited beauty." The Todomeru you're using is a verb reading and isn't just "Todomeru" rather Oshi-Todomeru. Higashio Maria is a kansai transfer student in Teitan Elementary that was introduced during Kir arc (File 548-549), and was recently reintroduced in Rum arc (File 1006-1008). I will be discussing this suspicion, that I've held since her reintro, about how she could be Asaka. Asaka's disappearance is very suspicious, since she was last seen with Amanda, who was killed later that day, and was perceived as her bodyguard. 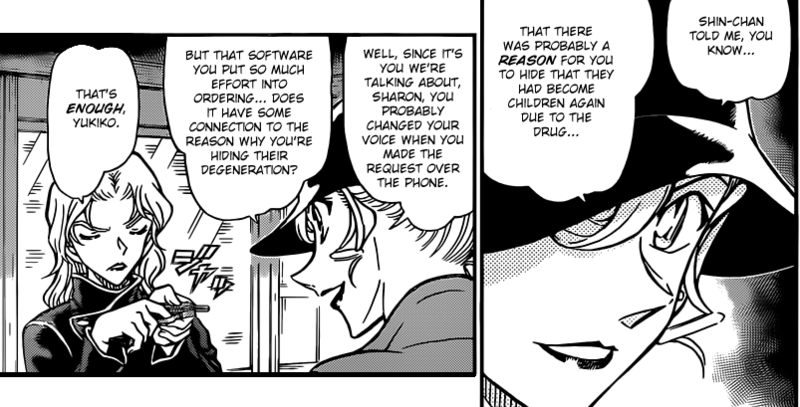 Rum was able to successfully kill Amanda with the APTX4869 prototype drug (made by the Miyano parents) and cover it up as if nothing happened, according to the Black Organization's M.O (as seen with how clean and tidy her room looked 17 years ago, in contrast to Kohji's messy room, File 948). Despite being a female figure guarding Amanda the last time she was seen, Asaka was somehow still missing from the crime scene and not found dead along with Amanda (after failing to hinder Rum's plans). As I've suggested in previous discussions, Asaka's disappearance could be because she was drugged by Rum along with Amanda 17 years ago, but instead of dying, she actually shrank like Conan and fled (which would explain why she is missing). 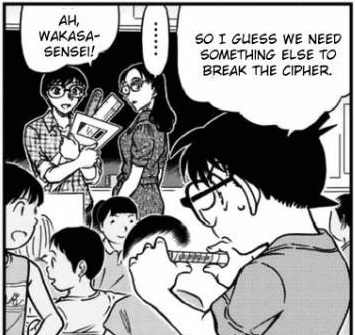 "Asaka taking the same drug as him" was a possibility that Conan also considered during his first speculation of Asaka's identity (File 953), so there's a good chance that Gosho was foreshadowing what had happened to Asaka. 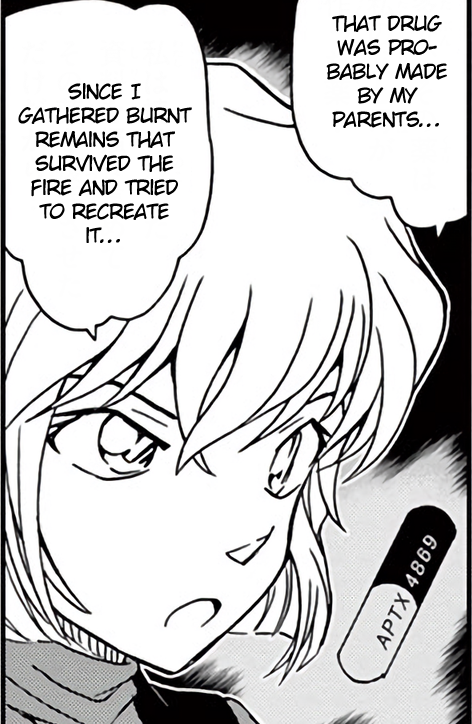 In File 948, Haibara explained that she tried to recreate her parents' APTX4869 with their remaining data (even though the BO wanted her to make something else that wasn't a poison), meaning that her APTX4869 prototype, which shrinks as a side effect, originated from her parents' APTX4869 model. 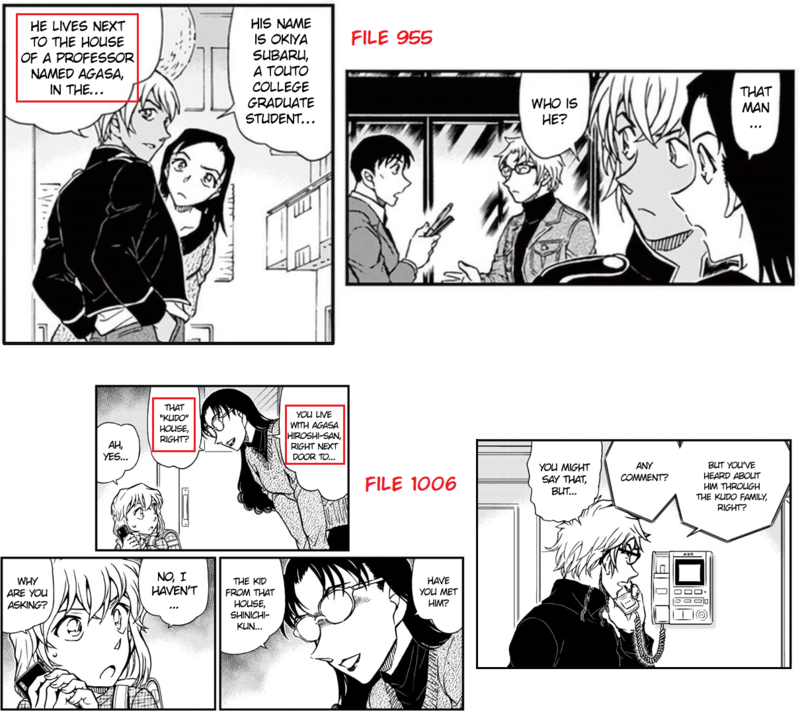 In File 1025, Gosho further clarifies Haibara's statement by having her directly monologue that her parents created the same drug that shrank her and Shinichi, meaning that according to her, the shrinking side effect definitely originated from her parents' APTX4869 prototype. This information further underlines the possibility that the 17-year-old prototype could also shrink people as a side-effect in rare occasions, which in turn could easily explain how Asaka was able to disappear from the crime scene despite being in a position that should have made her someone Rum got rid of in the process of successfully killing Amanda. 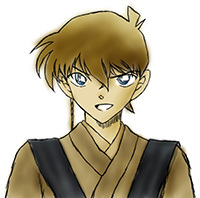 What we know about Asaka is very limited, but the info that we do have suggest a connection between Asaka and Kohji. 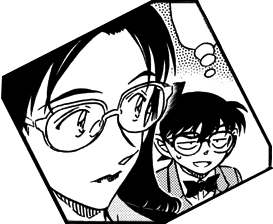 In File 948, when Conan read about the hand-mirror, Haibara explained that it was a popular hand-mirror and that her sister had one of them which she inherited from their mother, and later suggested that Kohji might've inherited the hand-mirror from his mother as well. However, we later find out in file 953 that Asaka was seen holding that same hand-mirror. This immediately suggest that the hand-mirror was passed on from Asaka to Kohji, implying that they were familiar with each other to that extent. 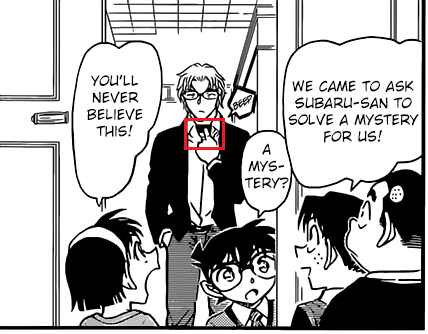 If you take Haibara's correlation to Kohji about "sister inheriting mirror from mother", it's possible that Gosho was using Haibara's story to foreshadow that just like Haibara's sister, Kohji's sister(Asaka) inherited the hand-mirror their mother, who in this case would be Haneda Ichiyo (Haneda Kohji's confirmed mother-in-paper). In other words, Kohji borrowed his sister's hand-mirror in order to prepare for his meeting with Amanda, and his sister later leaves with Amanda to act as her bodyguard. Going back to Conan's first suspicion of Asaka, he suspected that Asaka took the same drug as him and that Mary would be the prime suspect. 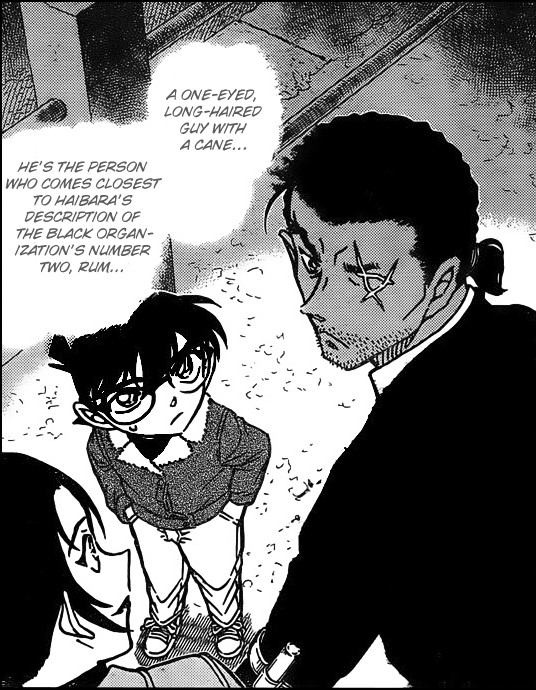 This is something Conan also did in regards to Rum's identity, where according to his first suspicion, Yamato Kansuke came the closest to the descriptions of Rum (File 913). Iori Muga, who I deduced could be Rum, fits with Kansuke's characteristics. They are both considered effeminate men (both have long curly dark hair), a strong build, Kansuke's left eye is damaged while Rum's left eye is foreshadowed to be a prosthetic (Higo plushie "left eye coming off" reference, File 999) and Muga's left lense consistently reflected like Rumi's suspected blind right side (File 981-982), and if Muga is hiding 5 years from his age like Satami Saya (File 920), then he would be the same age as Kansuke. If Kansuke is a Rum model that shares direct similarities to Rum, then the likelihood that Mary was utilized as an Asaka model is very high. The one who shares the most characteristical similarities with Mary, and thus could be Asaka, is the latest transfer student Higashio Maria. Mary and Maria have pretty much the same name. "Maria" is the latin form of "Mary". 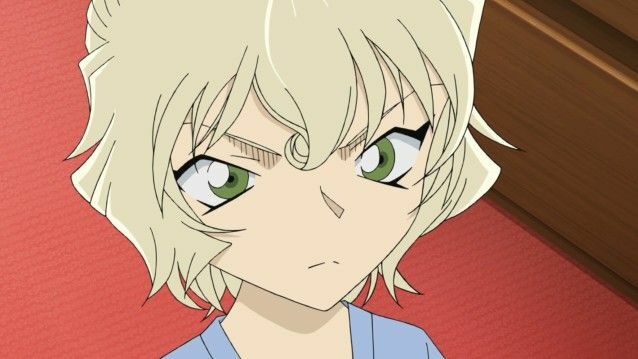 Gosho even went as far as to have Ogura mistake Mary's name for "Mari-chan" (File 928-930), which could have been intentional on his part in order to emphasize the similarity to "Maria-chan". Both Mary and Maria are also light-haired kids and are hinted at being half-japanese. 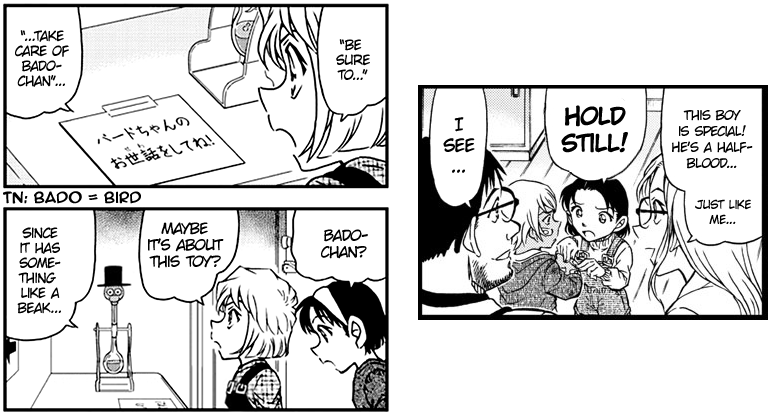 Mary's sister Elena is confirmed to be half-japanese (File 1011), and Maria has the english influence, to the point that her grandma called the toy "bird-chan" (File 1007). 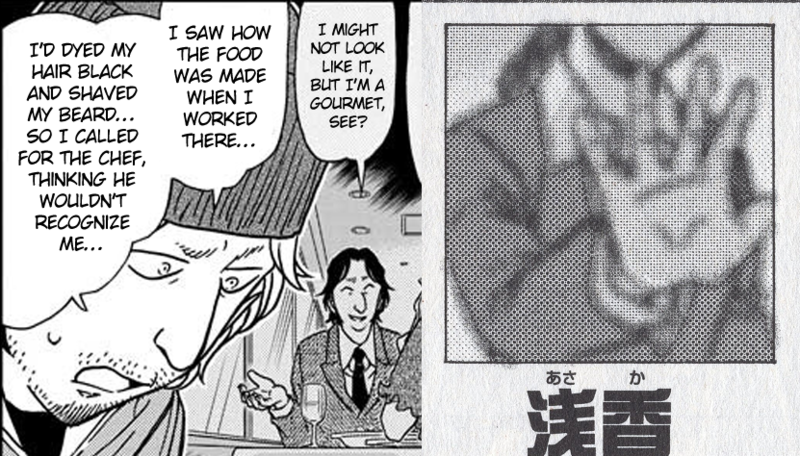 Asaka was also compared to Ran (File 954), which also could be Gosho's hint to that Asaka is in reality a normal 17-year-old girl who was mistaken as a "personal SP"/official bodyguard for Amanda, due to her skills. If Maria is shrunken adult Asaka, then the comparison to Ran would make sense too, since she has a sweet personality like her that is very subverted from everyone's expectations of "the bodyguard Asaka"/"a weird person"(as Ran put it), despite her similar qualities. In other words, 17-year-old Maria came along with Haneda Kohji to the US in order to watch him play in the chess tournament. Her black hair colour in the Asaka photo would be as a result of her dying her hair black, like how Gosho seeded that concept in with Takashi during department store case (File 941). And after she got drugged by Rum and shrank, she changed her one-tail hairstyle (as seen in the photo) to her current twin-tail hair style, just like how that concept was seeded in with Isuzu from secret cafe case (File 994), in order to not get easily recognized. 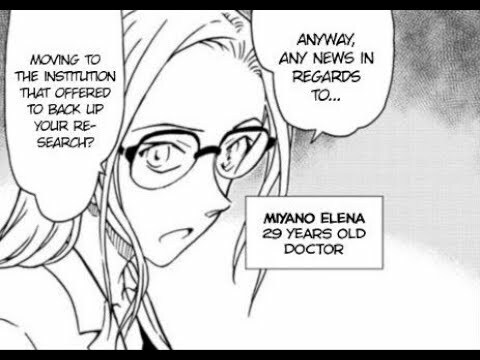 If Maria shrank as Asaka 17 years ago, then the true purpose it would have would mainly be to answer the question regarding Conan's and Haibara's aging state, and that answer would be that they can't age like Vermouth, since Maria is still a 7-year-old, because, as mentioned above, the drug they were affected by is a recreated version of the one Asaka would have been drugged by (and is very likely to have the same effect). If Maria has been a child for 17 years then her parents would be much older and the parents that she is currently said to have (File 1006) would have to be fake/stand-in parents. Going back to the idea that Asaka was Kohji's sister who inherited the hand-mirror from her mother Haneda Ichiyo, there's another detail about Maria that fits with this interpretation. 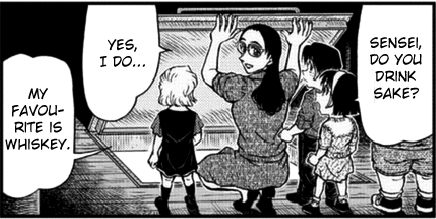 In File 1006, Maria's grandma gave her the advice "it's important for a girl to watch over her appearance", which is very consistent with someone who would pass down a hand-mirror. This could be a small clue to that Maria's grandma is actually her mother, and by extension, Haneda Ichiyo (which in turn would make her grandpa Haneda Yasuharu). In other words, those cherished memories in her reintro case was actually her with her real parents (Kohji's parents-in-paper). 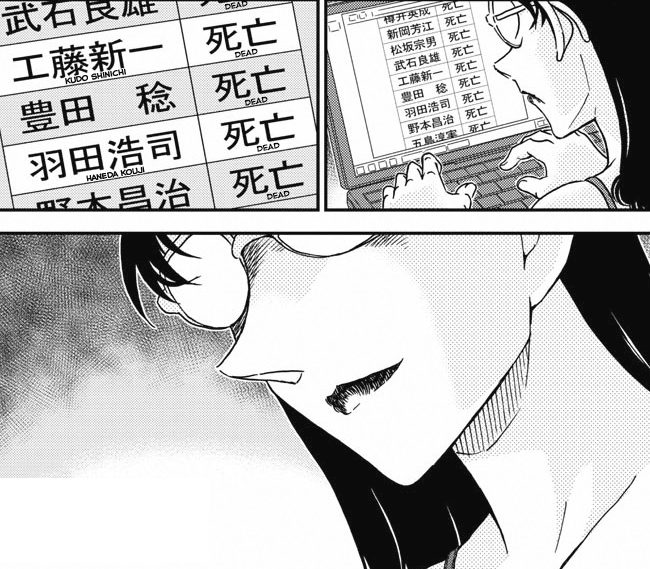 Considering that Gosho hid Maria's grandparents' family name outside their house, that leaves such a possibility open. 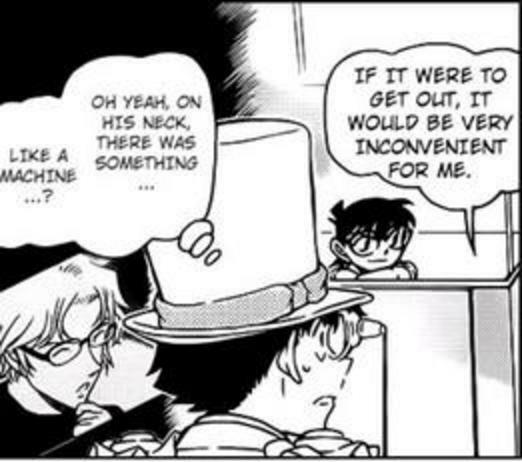 Gosho has a tendency to foreshadow the introduction of new plot elements by hinting at it just before it happens. 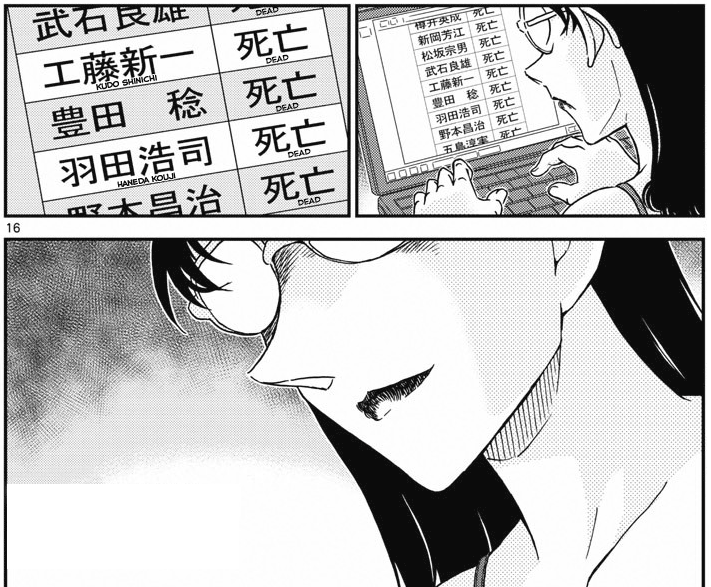 in this case, just before Higashio Maria was reintroduced, the previous chapter had a cliffhanger with Wakasa Rumi staring at the APTX4869 victim list (File 1005). 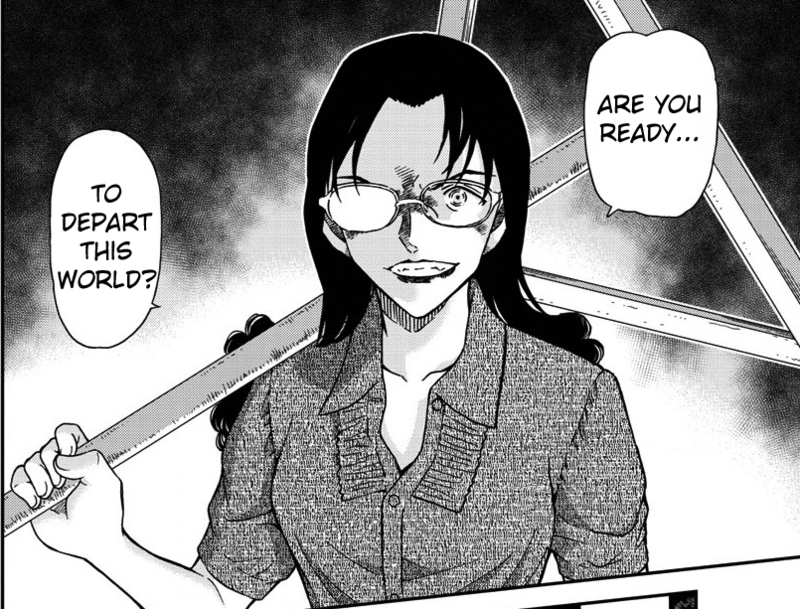 This could be Gosho's introduction foreshadowing to that Higashio Maria is that very target Rumi is after, Asaka (who potentially got drugged 17 years ago). In fact, both of Maria's reappearances in Rum arc consistently followed Rumi's appearance, as if she could be tied with her in the ongoing plot (File 966 & 1006). 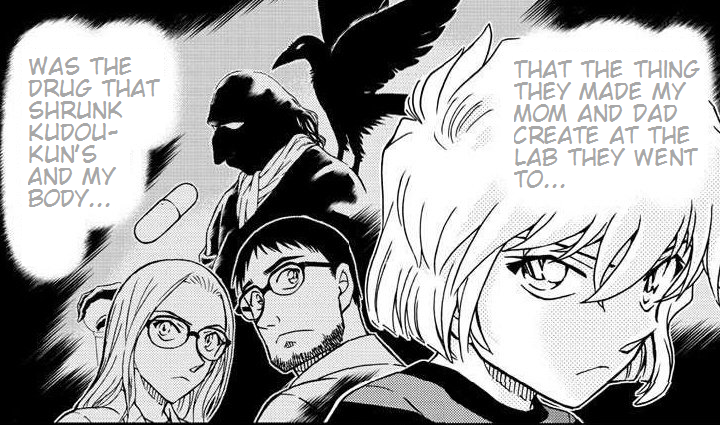 Following my deduction regarding Rumi's identity being Vermouth, this would automatically fill in the holes regarding Rumi's APTX victim interest, since Vermouth has personal motivations for keeping the shrinking effect hidden. If the BO dismissed Asaka as dead, despite her missing corpse, someone like Vermouth, who knows about the shrinking effect's existence would suspect that Asaka is alive. 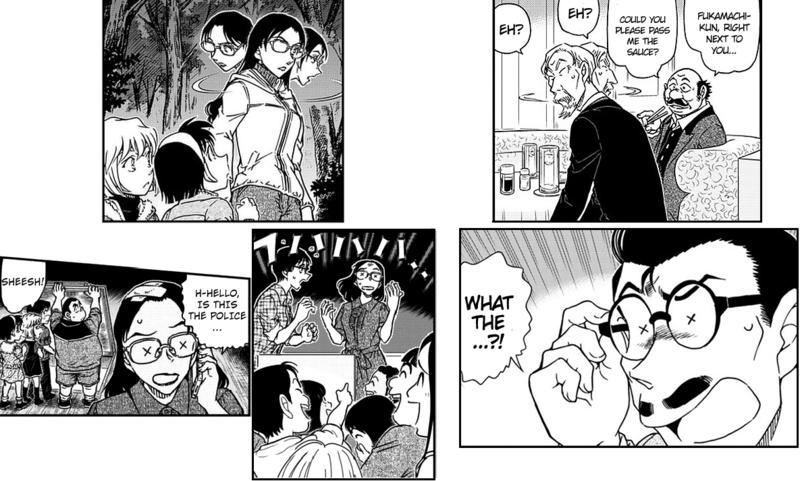 Rumi's goal in Teitan Elementary could therefore be to not only investigate Haibara's neighbor in the Kudo mansion (Subaru), but also investigate Asaka's disappearance. Her disguising as a potential Asaka, carrying Kohji-case-related objects and using a dying-message-derived name ("wACASA RUMi") could be a grand scheme in order to use Conan's help in locating Asaka, who ends up being the newest transfer student in class 1B after Haibara. 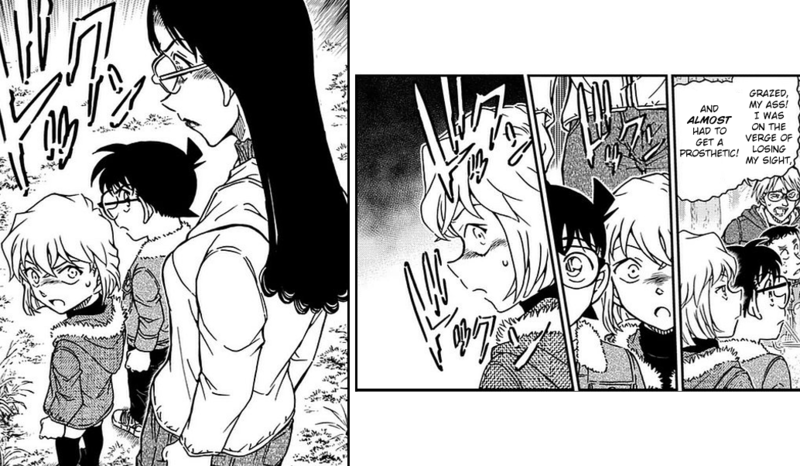 Maria's personality is very child-like and innocent, and ever since her intro in File 548, she never showed any signs of having an adult mind (more than likely because even if she happens to be Asaka, she was probably not initially conceived as another APTX victim). 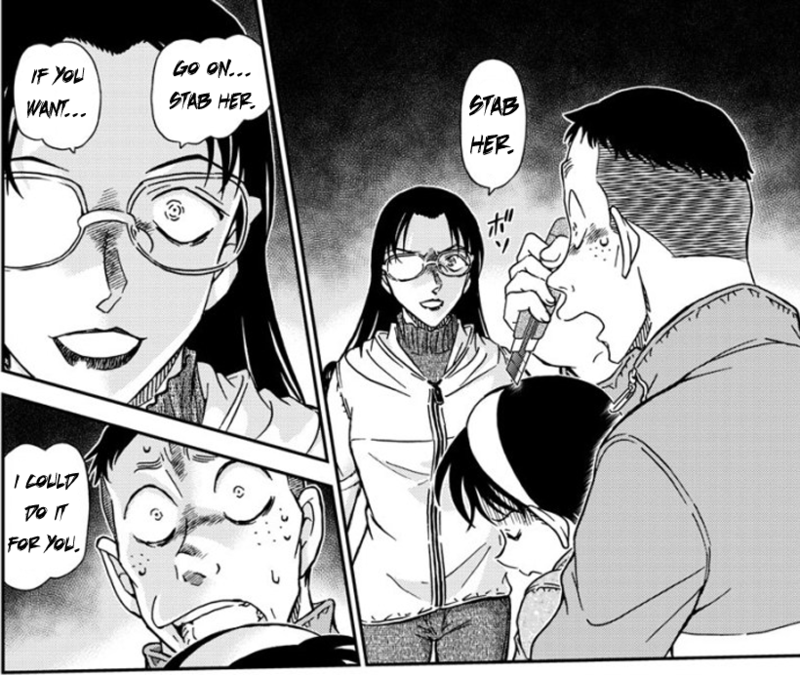 How Gosho could handle such a plot move, where a seemingly normal older character enters the plot, is maybe by playing the amnesia card, meaning that Maria suffered memory loss as a result of a post-traumatic stress from the Kohji case. In which case, Maria-chan may have lived those 17 years with her "grandparents" in the Kansai area as if she was a "normal" child. - Asaka was drugged by Rum along with Amanda 17 years ago, but shrank and fled. - Asaka could be Kohji's sister, who lent her hand-mirror to him, which she inherited from her mother, Haneda Ichiyo. - Asaka could be Higashio Maria. - Wakasa Rumi is investigating Asaka's potential shrinking. Last edited by MeiTanteixX on April 9th, 2019, 7:02 am, edited 2 times in total. Can you specify? As in, more detail than "this is *insert negative adjective here*"? I ask because my reaction to this theory just isn't that immediate. 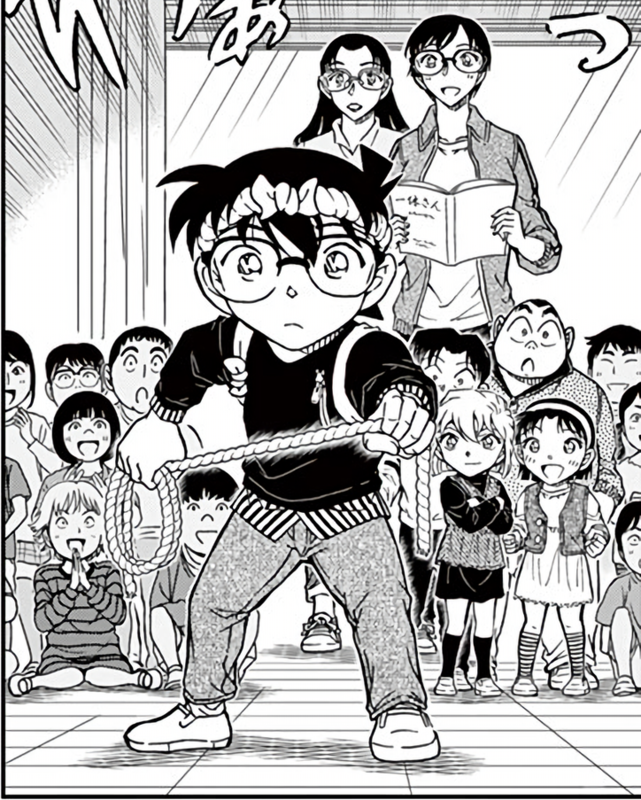 On the basis of many Japanese series, and four times within Conan, a transfer student is usually a character of interest and related to the overarching plot. Obviously Maria Higashio being Asaka is a fringe theory. But if we're to take it seriously for just a moment there's one major critique that I think needs to be made about it. You presume that Asaka got shrunk and then lost her memory of being an adult, and then was taken in by some kind people. The problem I would have with this is how such an important character came to attend Teitan Elementary entirely by chance. If such a person was a native Japanese speaker from said country (though Asaka was killed/shrunk/attacked in the US), then it would make sense that she would end up living somewhere in Japan. However, only about a quarter of the country's population lives in the Tokyo metropolitan area. Additionally, such has over 30 million people, which I imagine equates to several tens of thousands of elementary schools (at least), or about the same number of elementary schools as there are in the entire state of Texas. That Maria would end up at Teitan specifically seems farfetched. 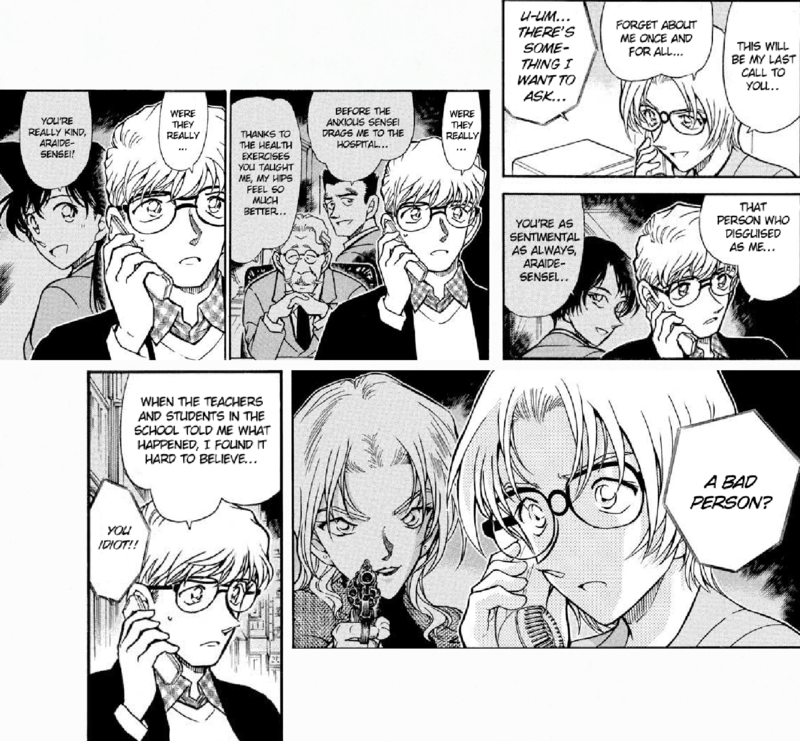 None of these involved people close to Shinichi; rather, he just happened to be in the area or whatnot. The rest of the BO's operations in the area, as well as pretty much anything else BO-related that happened in Beika-Haido, were the consequence, directly or indirectly, of either Kudo's or Sherry's actions. It makes much more sense, then, that Asaka would come to either Conan or Haibara seeking help rather than that such a person would just happen to enroll in their school.